Epic Tweet From Wrestling History, 2/27/13 - WrestleCrap - The Very Worst of Pro Wrestling! Just when you think you’ve hit rock bottom, Grimace throws you a shovel…. 3 Responses to "Epic Tweet From Wrestling History, 2/27/13"
Just remember, it was all Bobby Heenan’s fault. 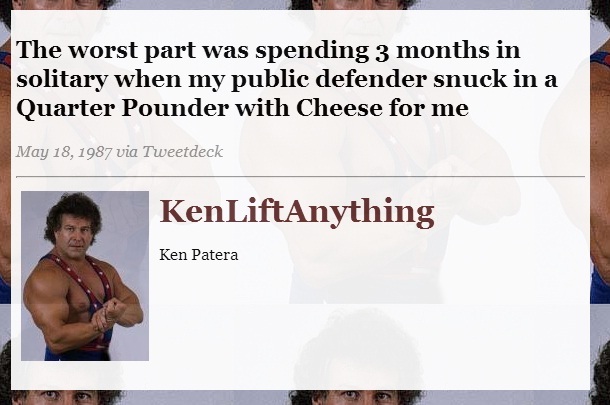 Certainly can’t blame Patera; dude was just HUNGRY! !